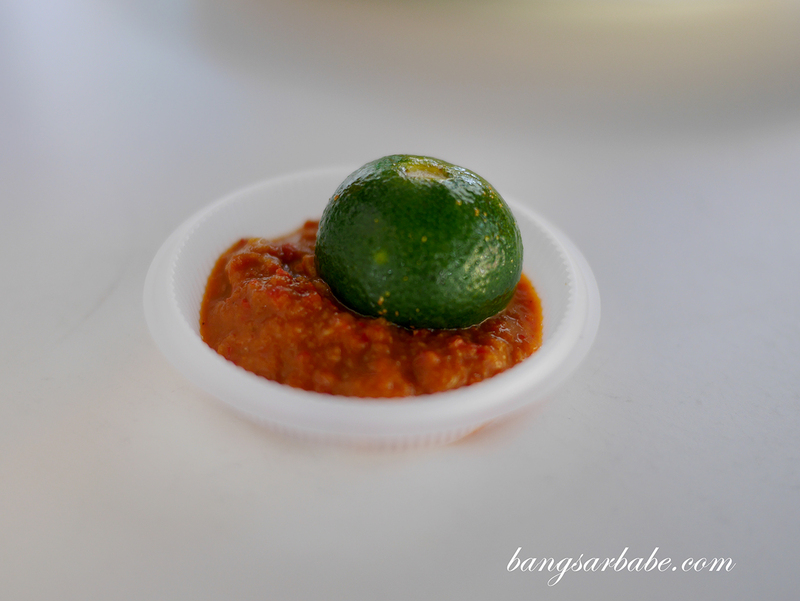 Taman Desa is an area filled with hidden gems, and one needs to look out for them as they can be easy to miss as you drive past the row of shoplots. Charlie’s Café is one of them – it was a couple of weeks back when the lack of parking in that area forced me to make several rounds, as I soon found an empty spot right in front of the shop. Since we were headed to my regular Thai restaurant just down the road, I kept Charlie’s Café in mind and returned for lunch that weekend itself. 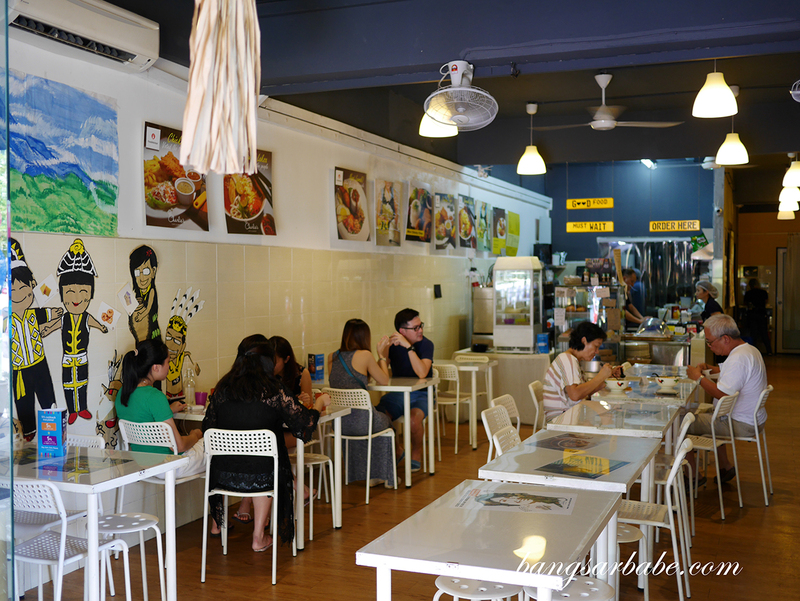 The café is no-frills, with simple tables and chairs and laminated photos of their popular dishes on the wall. 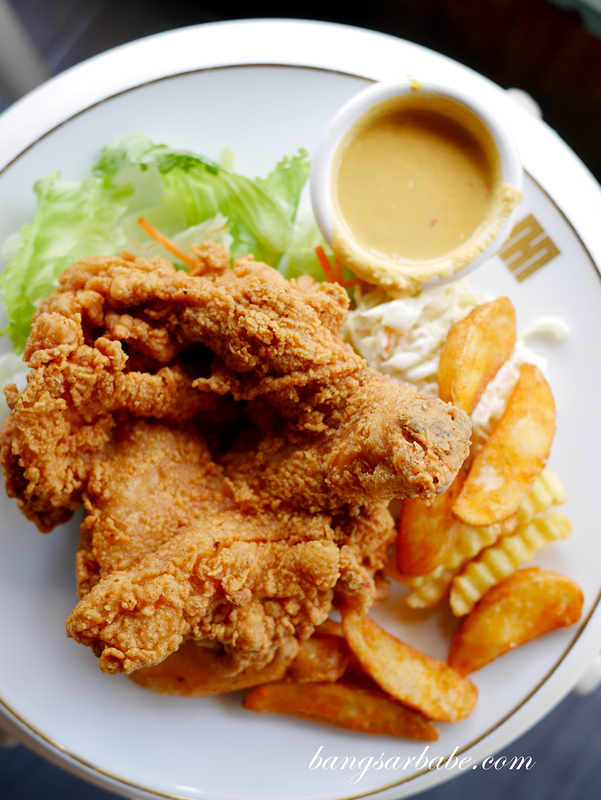 Charlie’s bestseller is the chicken chop; voted No.1 by most of the customers. That claim alone made me order one for myself. 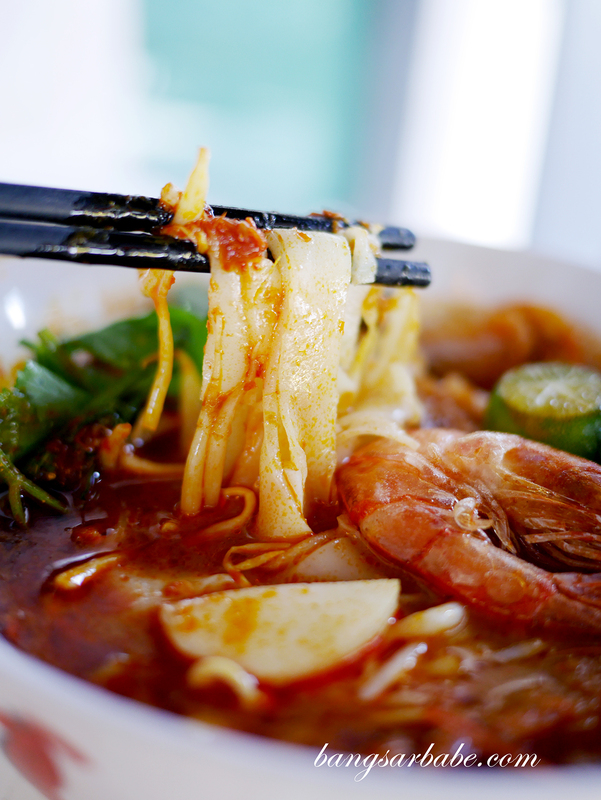 Jien and I also shared a portion of Sarawak Laksa (RM13.90) and Deluxe Curry Laksa (RM15.90), both of which are Charlie’s interpretation of Malaysian favourites. 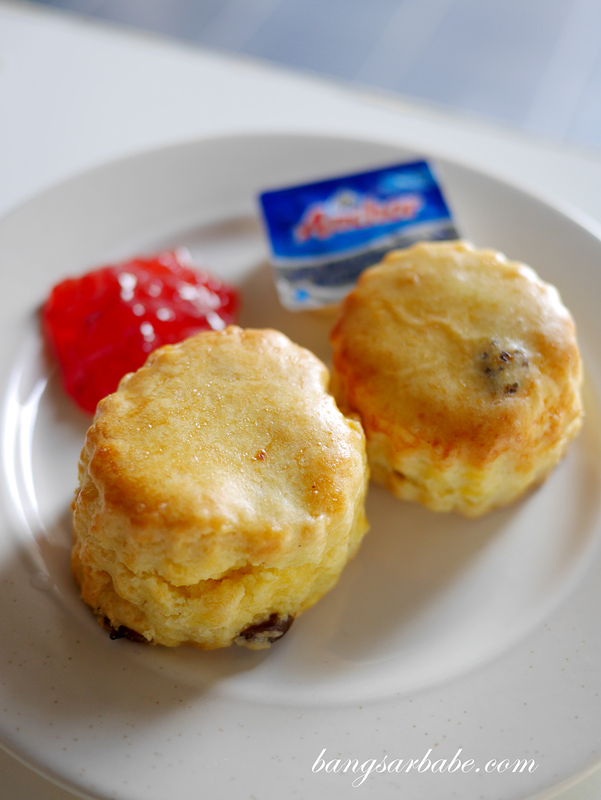 I also ordered a set of their freshly baked scones, which came with salted butter and strawberry jam. This was decent as you get that crumbly, buttery texture in each bite. I would have liked it to be slightly denser and for the jam to be better but for RM5.90 (comes with two scones), there’s nothing to complain about. 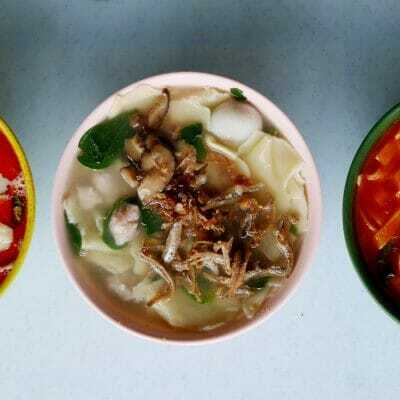 The Sarawak Laksa didn’t quite taste like the real deal to me. 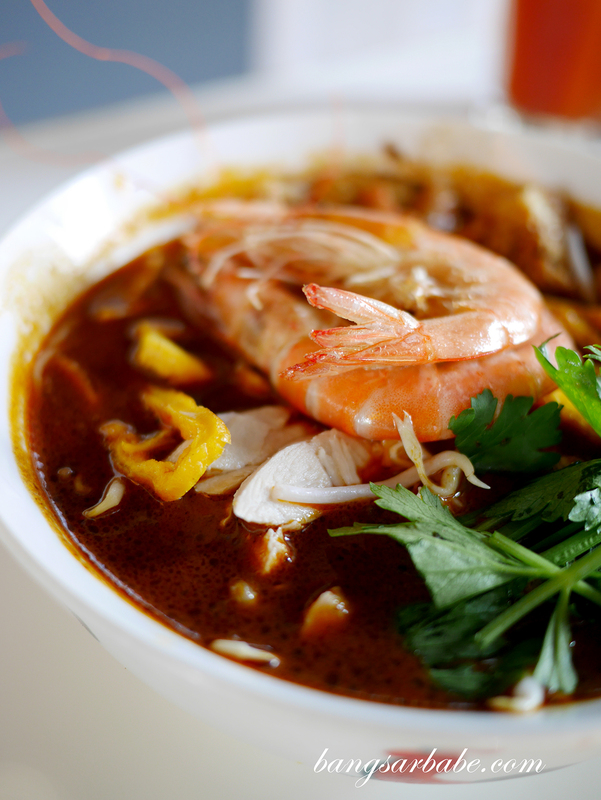 Granted it was tasty and spicy, I found the broth too thick and overly robust compared to the Sarawak Laksa I’m accustomed to. Also, it is a little strange to find tofu puffs in Sarawak Laksa – my friend from Kuching confirmed this shouldn’t be in the mix. Questions about its authenticity aside, I found it quite palatable as I generally like thick and flavour-packed laksa broths. 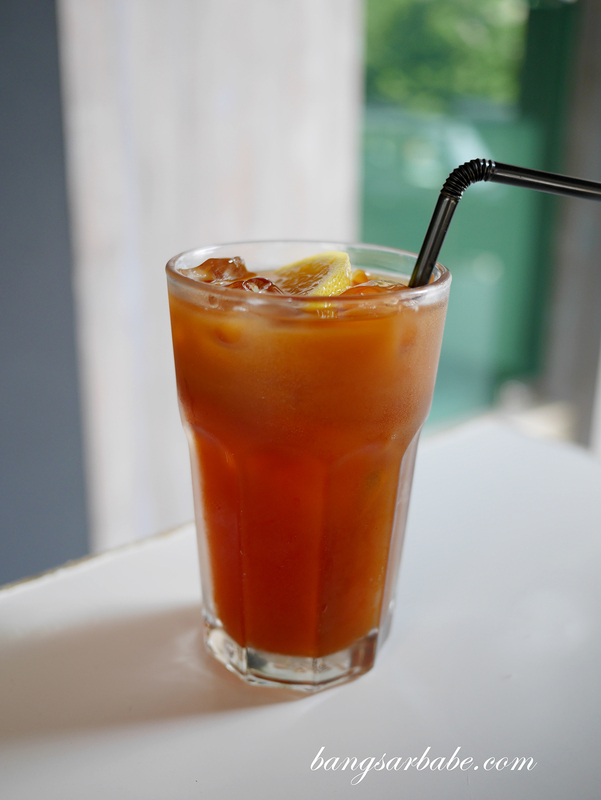 Those with butter tongues would find this too much to handle as even I was constantly reaching out for my iced lemon tea (RM4.90). 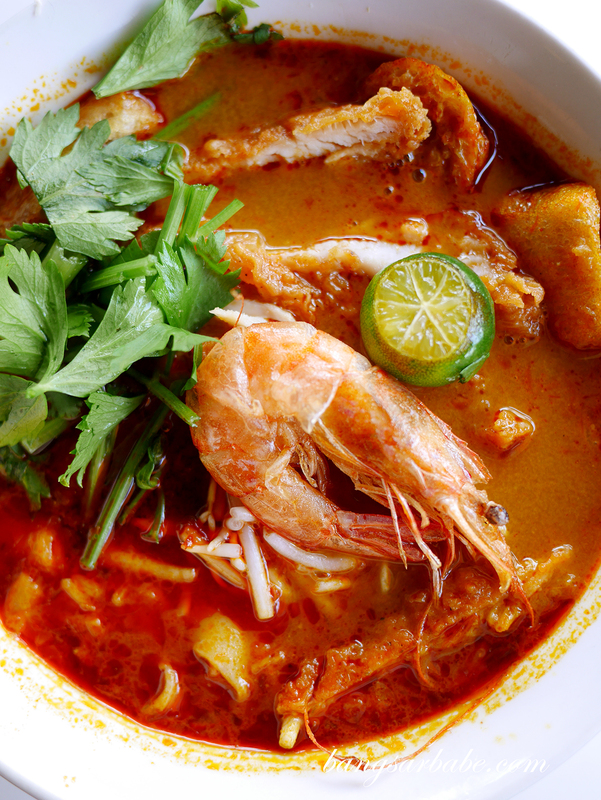 The Deluxe Curry Laksa came with a portion of boneless fried chicken thigh and mid-sized prawns. 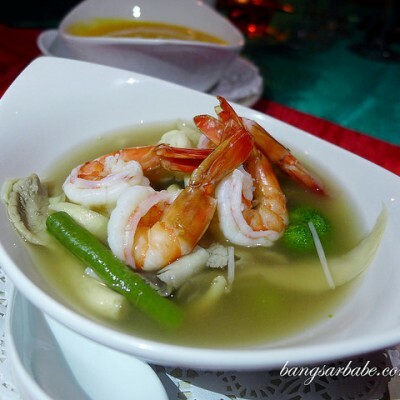 This had similar tasting notes to the Sarawak Laksa, only with less spices. 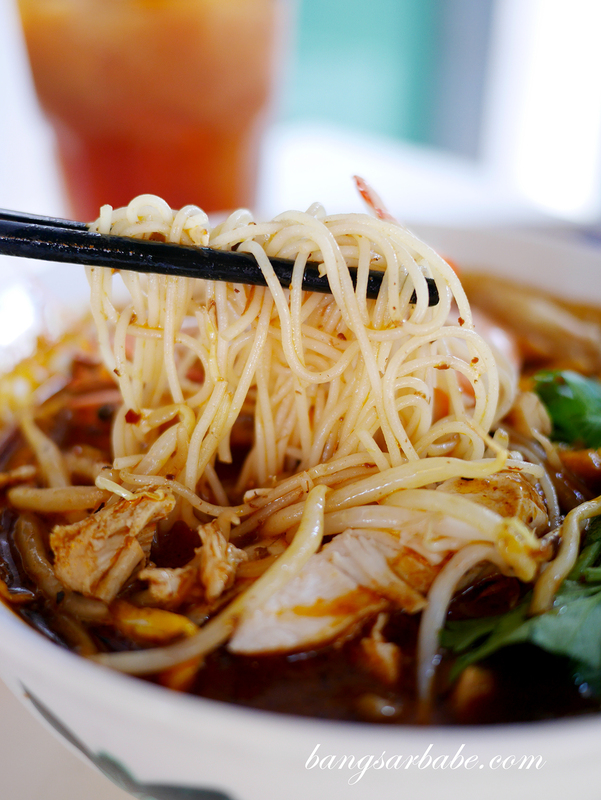 Like the former, this bowl of curry laksa packs a wallop so be prepared to sweat as you tuck in. 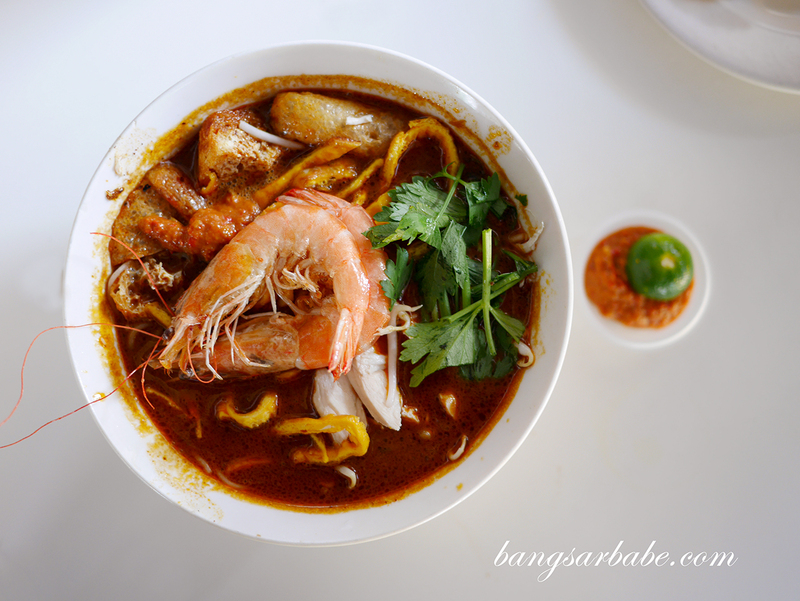 I didn’t think it tasted like KL-style laksa either so I’ll just leave it as Charlie’s version of curry laksa. Both Jien and I found the chicken chop (RM17.90) just alright, unlike what the other customers claimed. 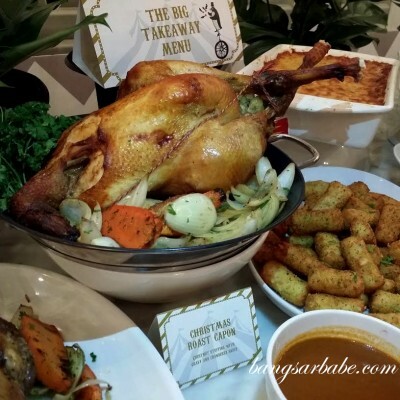 While the chicken was crispy fried and tender at the centre, it didn’t bowl me over. 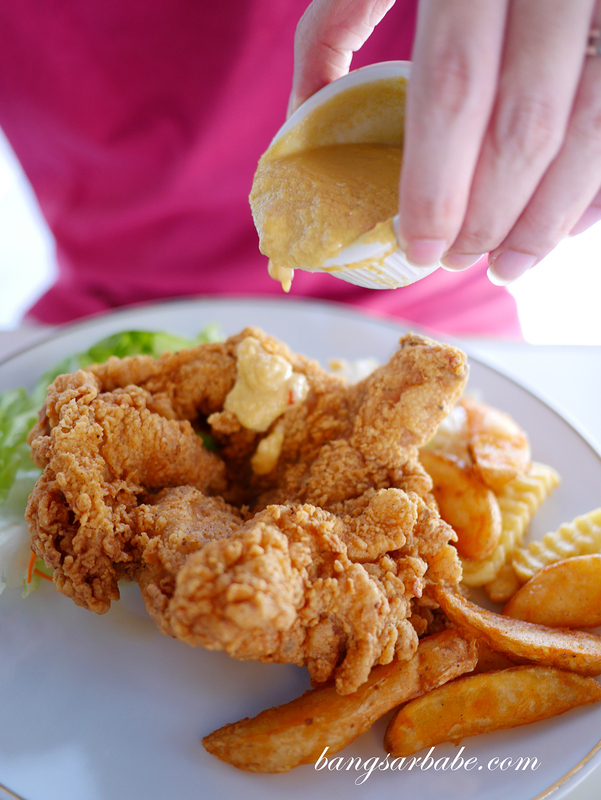 We picked the salted egg yolk sauce (additional RM1) to go with the chicken chop – you have basic options like mushroom sauce and black pepper too. Portion for the chicken chop is good so if you’re really hungry, this ought to satisfy the beast in your stomach. But I wouldn’t say this is the best Charlie’s Café has to offer. 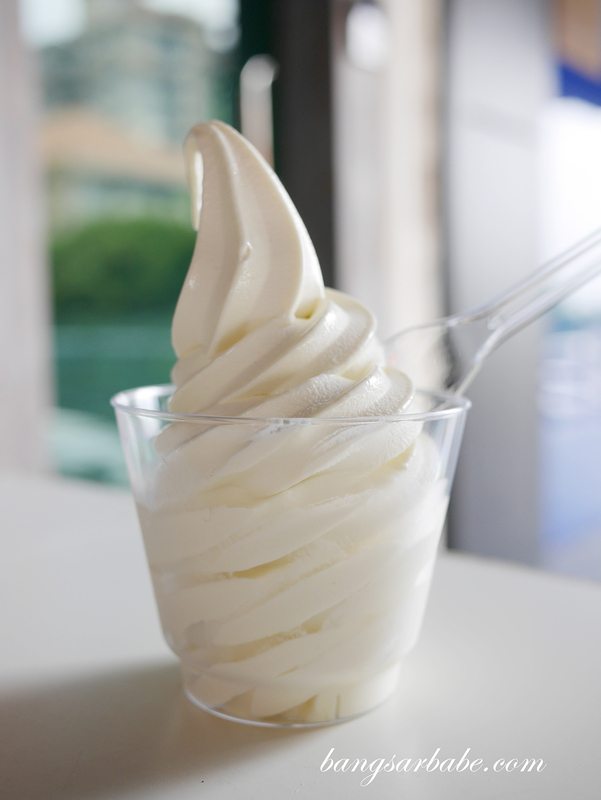 What they do really well (so I was told) is their D24 Durian Soft Serve (RM5.90 – small, RM7.80 – large). I don’t eat durian so I can’t vouch for this but Jien told me it’s good stuff. It’s smooth and creamy, yet not overly thick. The ice cream doesn’t have much of the durian aroma but the flavours hit you once you take a bite. It tastes like real D24 durian, unlike some places where the durian taste comes from flavouring. 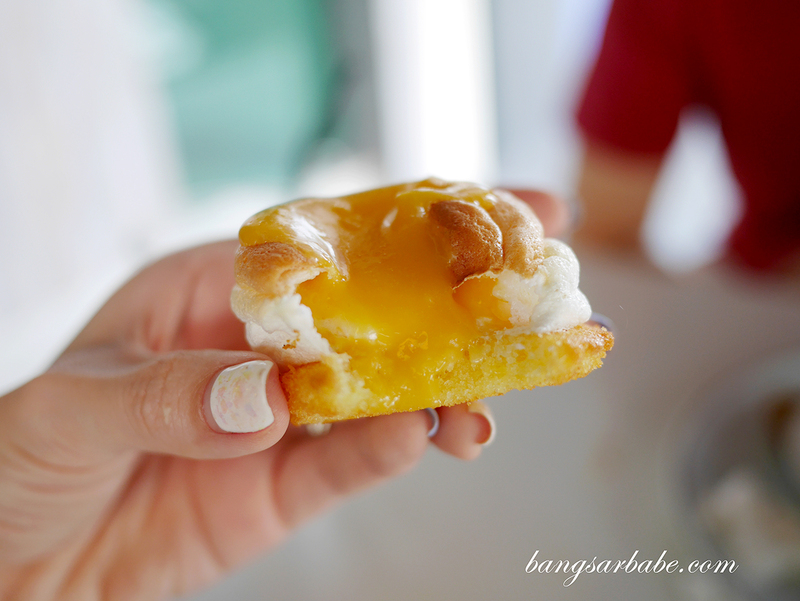 Don’t miss out on their UFO tarts (RM3 each) – said to be a craze in Sabah at the moment. Again, I haven’t eaten the original UFO tarts but this one was good stuff. 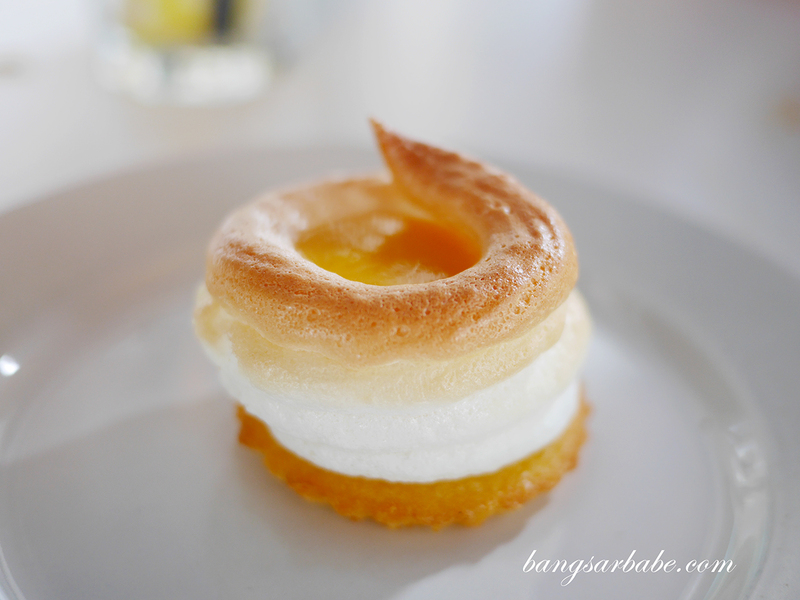 You get a buttery sponge base with light meringue ring and molten salted egg yolk sauce at the centre. Every bite gives you sweet-savoury accents and the taste lingers on even when you’re done with your tart. 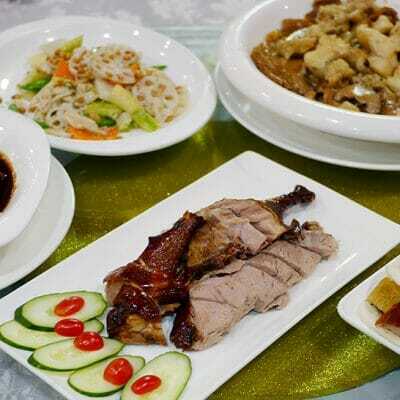 Prices are reasonable and portions are good. Service was fairly quick when I went but since they are a small team, do have a bit of patience when it’s peak hours. I wouldn’t say this is the place to go to for chicken chop nor would I say the Sarawak Laksa is authentic. But I will definitely come back for the UFO tart and Jien, the durian soft serve. Verdict: Try the durian soft serve and UFO tart. 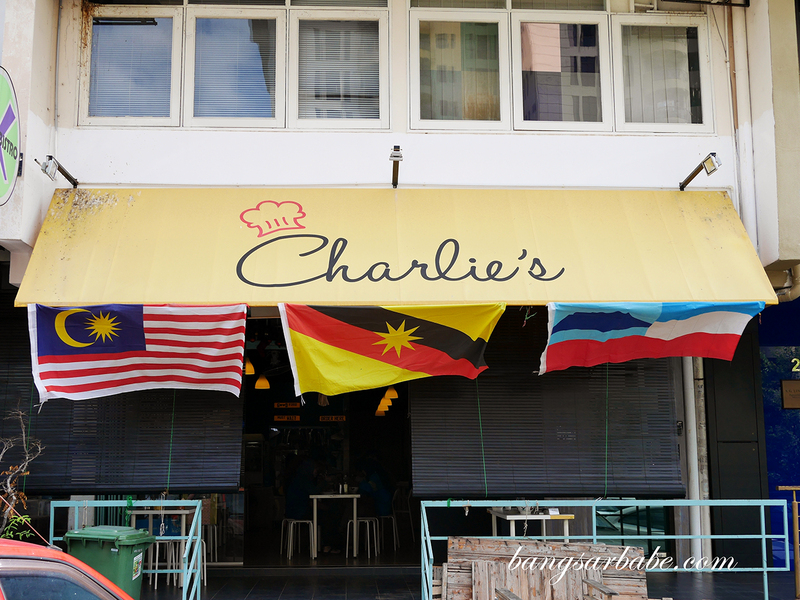 If you’re not particular about Sarawak Laksa, give Charlie’s version a shot.